It's time for Easter Flower dedications! As we prepare to celebrate Easter, we would like to offer an opportunity to remember or honor someone as part of the Easter celebrations. If you would like to give Easter flowers in memory of—or in honor of—a loved one, please fill out the form either online HERE, or HERE is a PDF version to hand in to Spirituality and Religious Life before Thursday, April 18th. All those we remember and honor will be listed in the Newman Notes Easter Sunday! Check – Please make checks payable to RIT Newman Catholic Community. Please note Easter Flowers on the memo line of your check. 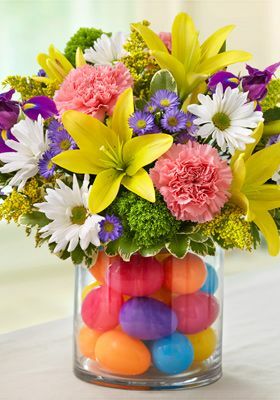 We will have flowers throughout the Easter season. You may hand deliver or mail your check along with the form (or complete the form online and then send check). You may mail, hand deliver, or fill out the form online once you make your online donation. Please be sure to have them in by April 18th so we can assure the name will make it on the list. Every other month we do a Milkshake Mass on Wednesday evening at 9pm. So what's a Milkshake Mass, you ask? 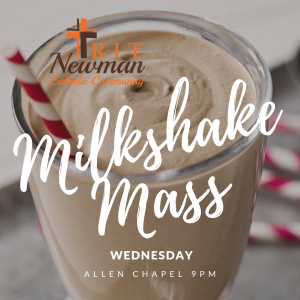 It's exactly how it sounds...we have a very casual daily mass at 9pm followed by MILKSHAKES made by the wonderful Newman Eboard! Adoration is a beautiful opportunity to relax and spend time with Jesus! 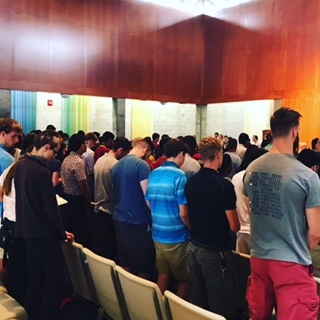 Sometimes we will have Adoration followed by group prayer, sometimes Adoration with some praise and worship, and other times just opportunities for silent prayer and meditation with the Blessed Sacrament. If you have never participated in a Eucharistic Adoration, that's ok! 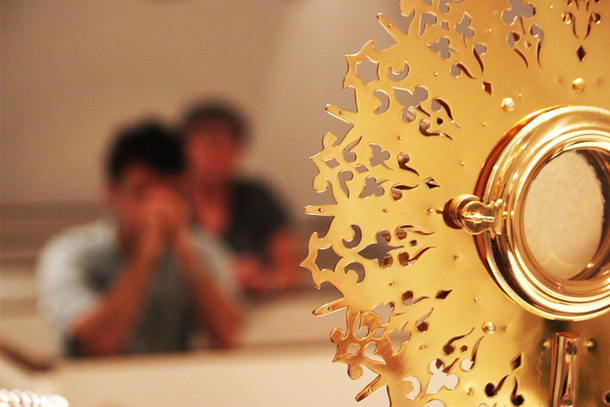 Join us and experience the power of spending time with the exposed Blessed Sacrament!